Chinese food is an important part of Chinese Culture. Chinese cooking has become the biggest techniques of cooking and famous in all over the World. Youngsters enjoy chinese food like Veg/Non-Veg Momo’s, Spring roll, Fried rice, Manchurian, Noodles, Soup . So we have collected some information about the 6 Best Chinese Food Corner in Chandigarh. I hope you will enjoy it. Lets have a look. Adhikari Chinese food is famous for Chicken/ Veg Momo’s , Veg/ Chicken Noodles and Plain Soup and always crowded with youngsters. Opening time are 11 AM to 10 PM. It is situated in Sector-15. Average Cost for two people is 450/- exclusive of all the taxes, if any . There are free parking and Outdoor Seating available. It is No Smoking Zone. Yo China is famous for Mocktails , Hakka Noodles, Non Veg Momo’o, Spring Roll, Sweet Corn Soup .This is a family friendly place. It is a Indian Chain Restaurant which serves chinese food. Opening hours are 12 Noon to 11 PM. average cost for two people is 1200/- exclusive all the taxes, if any. Cash and Card payments are accepted. Full bar is available and home delivery too. Mainland China is famous for its Noodles, Buffet, Custard, Sea Food, Dumplings .It is a family friendly place and have full bar available too. Opening hours are 12 Noon to 3:30 PM, 7 PM to 11 PM. average Cost for two people is 1500/- and a pint of beer cost is 160/- exclusive of all the taxes. Cash are card payments are accepted. This beautifully decorated place has good Staff, very Prompt Service. This is the perfect Place for Chinese food. Opening hours of the corner is 8 AM to 11 PM. It has breakfast, Outdoor seating and home delivery. Average cost for two people is 400/-, exclusive of all the taxes. Only Cash Payment accepted. Alcohol free zone. 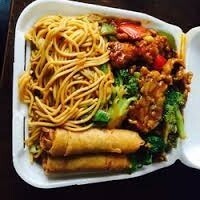 Raju Chinese Fast food is famous for Noodles, Momo’s , Veg Manchurian, Fried Rice Chicken. Opening Hours are Today 8 AM to 10 PM and Closed every last Monday of the month. Average cost for two people is 300/- exclusive all the taxes , only cash payment accepted. Home delivery, free parking and outdoor seating are available. Alcohol is not available in Raju chinese Fast Food. Chaplin Fast Food is famous for Paneer Noodles, Chicken Fried Rice ,Non Veg Chowmein. Opening hours are 11 AM to 11 PM. average Cost for two people is 500/- exclusive of all the taxes. Home Delivery is available, No card accepted. So these are the most famous chinese restaurant in Chandigarh . I hope you will visit and love it. Pls let us know if we are missing something. Pls Like, comment and share.